To the Sacramento Bee, it’s not enough that California’s constitution is loaded with illogical and contradictory provisions that make the state ungovernable. The Bee wants to make things worse by inventing new provisions and contradictions. However much satisfaction that might might bring California voters, the Bee neglects to demonstrate that Chiang has the constitutional authority they urge him to exercise. And with good reason. It doesn’t exist. The Bee cites Proposition 25, a constitutional amendment passed by voters in November 2010 as saying “that legislators would forfeit their pay in any year in which they fail to approve a balanced budget by June 15.” But the word “balanced” does not appear in the measure. The constitution (Article 4 Section 12) requires that lawmakers pass a budget by June 15. It doesn’t require that the budget be one the governor wants to sign or that the Bee finds palatable. As the Legislative Analyst pointed out in his analysis of Prop 25, “While the Constitution has a date by which the Legislature must pass a budget, it does not have a specific date by which a final budget must be put into law.” The Legislature has met its obligation. There is, of course, a separate constitutional provision, subsection 2(g) of the same article, enacted as Proposition 58 in 2004, specifying that the spending authorized in the budget should not exceed projected revenues. But that provision explicitly make the Legislature responsible for determining projected revenues. Under the constitution, a budget is balanced if the Legislature says it is balanced. That’s a weak guarantee of fiscal balance, as budget wonks have noted ever since it was proposed and passed. But the constitution, a system of checks and balances, gives the governor the power to use his line item veto to bring spending in line with his projection of revenues. And legislators can seek to override those vetoes by a two-thirds vote if they disagree. The constitution gives the controller no role in this process. And if you take a minute to think about it—and in my years on the Bee’s editorial board, thinking through these issues was a central part of the job description—giving the controller the discretion to withhold the Legislature’s pay would cause even greater havoc in an already ungovernable system. The power to deny the Legislature’s pay is the power to control or destroy the central branch of representative government. American constitution writers have been careful not to give executives that power lest they become kings. Moreover, since there is no objective way of determining whether a budget is balanced—every budget is a prediction subject to swings in spending and revenue collection depending upon future economic conditions—the Bee is suggesting that a controller should have the prerogative to control or destroy the Legislature based on a prediction that neither he nor anyone else can say with certainty is true or false. It is easy to imagine how an ambitious or partisan controller might use such power as leverage or a tool of political self-aggrandizement. 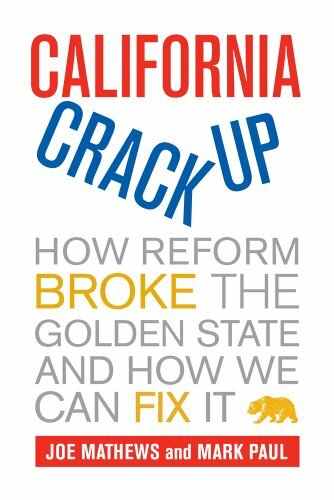 Which explains why the California constitution, despite its many flaws and follies, gives the controller no such power. Should John Chiang take up the Bee’s suggestion that he crown himself king, the Legislature, in turn, would be obligated to defend the constitution and the powers of the legislative branch, perhaps by suing the controller (not a happy prospect given how the chief justice asserted herself and the judiciary as a self-interested party in opposition to the budget passed by the Legislature) but more likely by impeaching him for abusing his office in an extra-constitutional way. I can’t say that wouldn’t be fun. But it still seems to me that urging political leaders to use imagined powers to deepen California’s constitutional crisis is the province of radicals and bomb-throwers, not responsible journalists. What next from the Bee? Scoopy wielding a Molotov cocktail?